Led by Obama White House aide Gautam Raghavan, the group includes a number of prominent Democrats. Gautam Raghavan will lead the newly formed Impact. The mission of the newly formed “Impact” includes, according to its website, building a network of Indian American leaders in “policy, politics and government”; recruiting, training and electing candidates at all levels, and aligning and leveraging campaign donations. 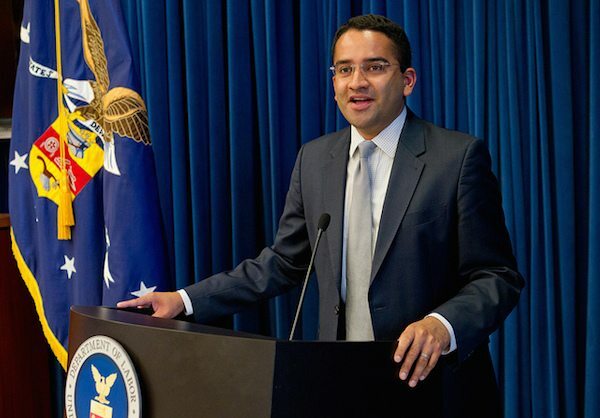 Led by by former Obama White House aide Gautam Raghavan, the organization has two components and two legally distinct entities: the Indian American Impact Project and Indian American Impact Fund. The Impact Project, a 501(c)(3) nonprofit, will focus on leadership development and training. By law, a tax-exempt 501(c)(3) organization cannot engage in over political activities such as supporting candidates running for offices. Co-founders of Impact are Raj Goyle, a former Kansas statehouse member who mounted an unsuccessful run for the US Congress from Kansas’s 4th congressional district, and Deepak Raj, chairman of the nonprofit Pratham USA. They are on the board of both the Impact Project and the Fund. Three other members of the Impact Project’s board are former US ambassador to Belize Vinai Thummalapally, KPMG federal government affairs managing director Priya Dayananda and Mini Timmaraju, a top aide to the Democratic Party nominee Hillary Clinton during the 2016 campaign. Besides Goyle and Raj, the Fund board includes former Chairman and CEO of MacKay Shields LLC Ravi Akhoury and Raghu Devaguptapu, a partner at Left Hook Strategies and former political director for the Democratic Governors Association and Democratic Legislative Campaign Committee. “At a time when our community and our values are under attack by xenophobic rhetoric and regressive policies, it is more critical than ever that Indian Americans build and wield political power to fight back,” it adds. According to its website, the framework for identifying and supporting emerging candidates and building political infrastructure to leverage them will be laid down by Impact as a long-term strategy. “By laying the groundwork now, we will ensure that Indian American leaders from all sectors are fully represented and heard in national policy conversations, in media, and civic life and that future generation will have the opportunity to run, win, and lead,” the site says.